Notes: Lydham Heath opened with the line. Although it was built as a through station, because the line was never extended it remained a terminus with trains having to run round or reverse to continue their journey to Bishop’s Castle. 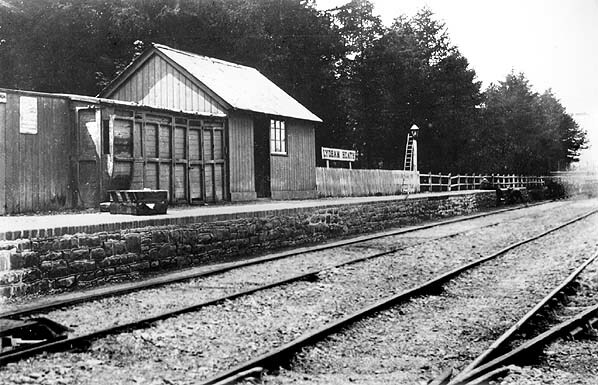 The station was temporarily closed between 27 February and 2 July 1877.
provided with a an old carriage placed alongside for use as a toilet block. The building was lengthened c. 1906 and included a booking office and waiting room. The old carriage was removed at this time with a grounded van placed at the north end of the platform probably becoming the new toilet block. The platform was lit by three gas lamps. 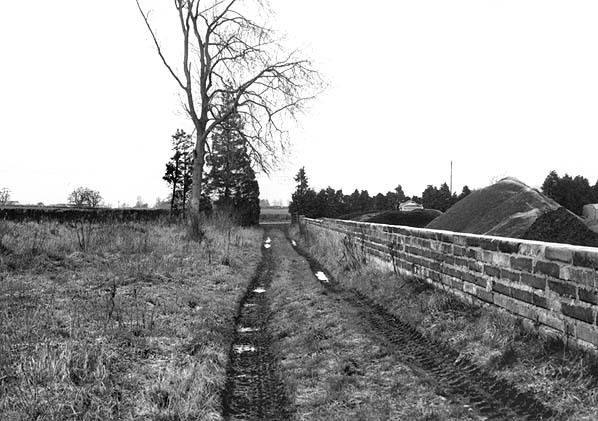 Passenger access was along a footpath from the road running alongside the track beyond the platform. There was no station house at Lydham Heath. There was a loop opposite the platform for running round, and a single siding led from it to a cattle dock. A 6-ton crane stood in the yard, of the same sort that was found at Bishop's Castle and Plowden; it was used mainly for loading timber. The yard handled considerable amounts of stone from the Squilver Quarry, which was transported by the BCR from Lydham Heath to Plowden and Horderley. During WW2 ammunition was stored on the derelict platform. There is a scale model of Lydham Heath station on display at the Bishop's Castle Railway and Transport Museum. Tickets from Michael Stewart Bradshaw and GWR timetable from Chris Totty. Route maps drawn by Alan Young. 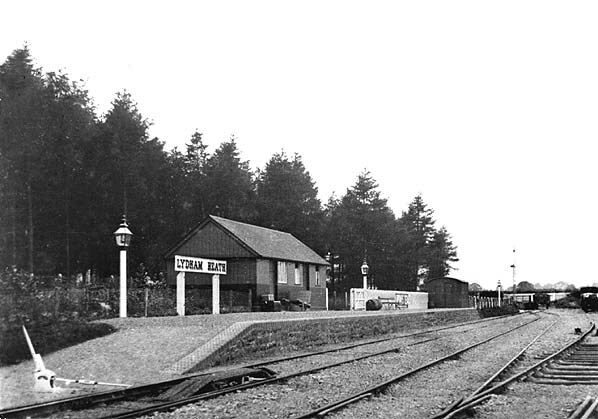 Lydham Heath c 1900 before alterations, which included lengthening of the station building and removal of the old carriage (which was used as a toilet) and fencing. A grounded van was placed at the west end of the platform - possibly also used as a toilet. A number of workmen are on the track near the end of the platform, and a ladder is leaning against one of the lamp posts. 1883 1:2,500 OS map. No buildings are shown on the platform. 1903 1:2,500 OS map. A small building has now been provided. 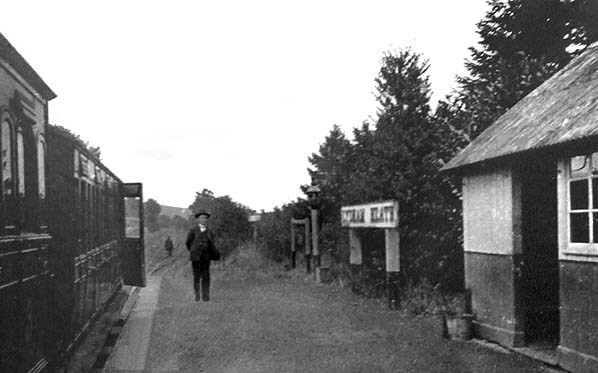 Lydham Heath station looking south from the goods yard c.1906 . All of the intermediate stations (except Stretford Bridge Junction) had brick buildings, but initially Lydham Heath had no buildings at all. This modest timber building was eventually provided, and it included a booking office and waiting room. 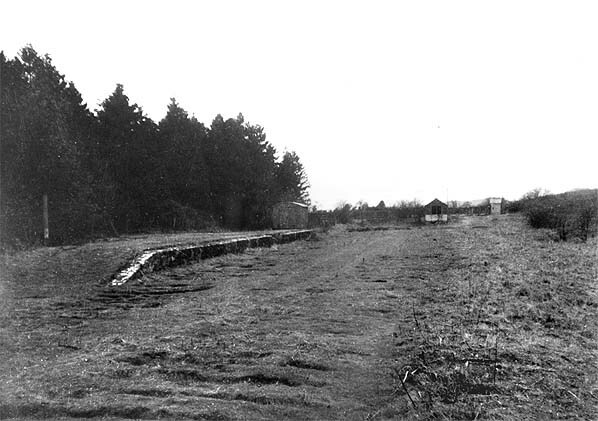 Lydham Heath station looking north-west towards the buffers in 1906. 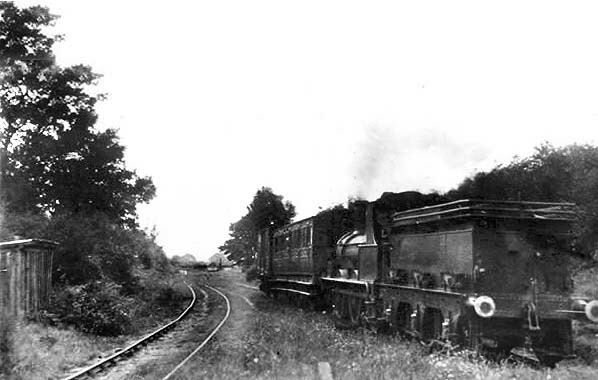 Lydham Heath station seen from the goods yard in 1909. 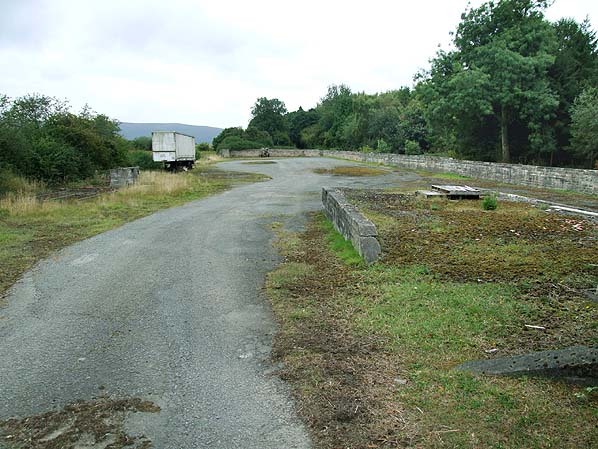 The gate to the right of the building leads to the footpath that runs alongside the track to the road. 'Carlisle' on the loop line running round its single passenger coach at Lydham Heath station before departing for Craven Arms. 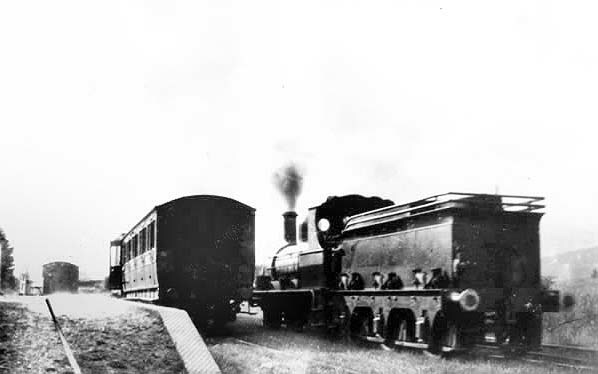 A Craven Arms train leaving Lydham Heath station; the end of the platform can be seen in the distance. The line to Bishop's Castle is seen on the left. 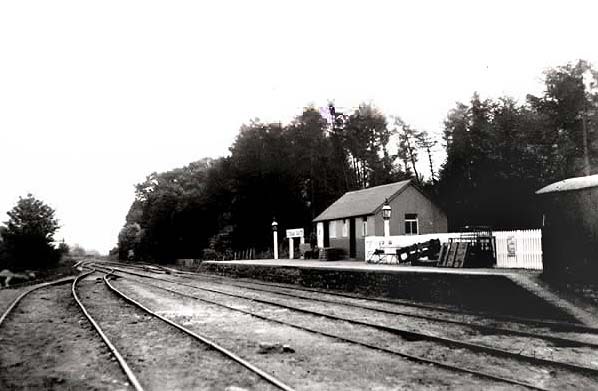 A passenger train at Lydham Heath waits for its loco to run round c. 1930s. .
Lydham Heath station looking south-east in the 1930s. 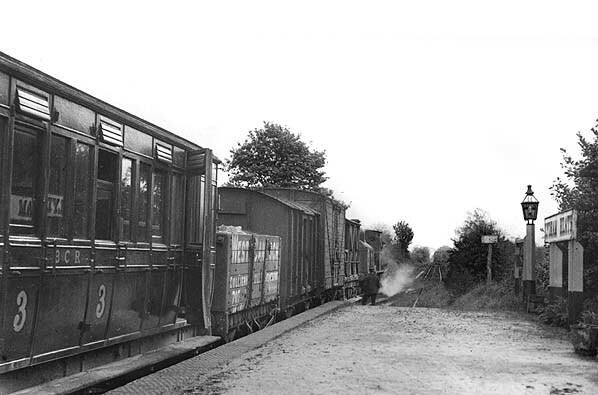 A mixed train is awaiting departure from Lydham Heath station in May 1932. 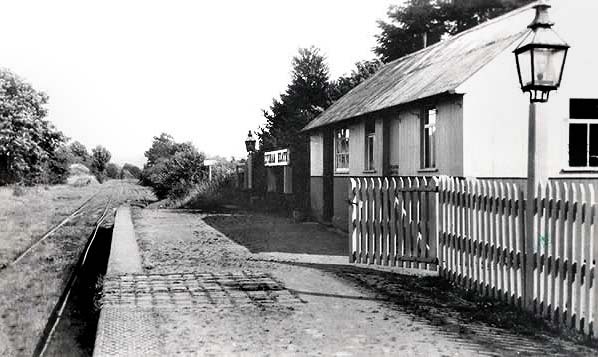 Lydham Heath station looking north-west towards the road in April 1941. Only the grounded van remains at the end of the platform, this was possibly used as a toilet block. The small timber goods shed is seen at the back of the goods yard. It's not known what the other building is. 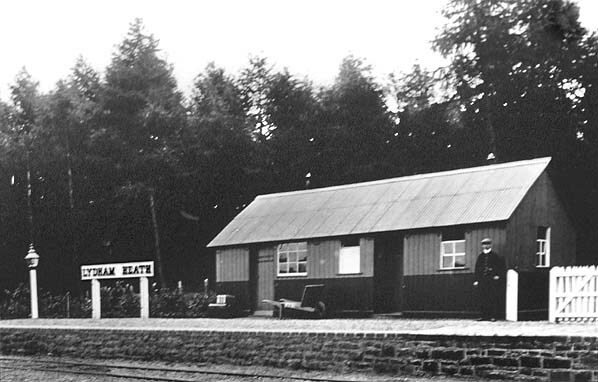 Within a short time the station would be used to store wartime ammunition. Looking south-east from the entrance to Lydham Heath goods yard in September 2009. Although the coal merchant has now gone, the cattle dock is still there. The platform was behind the wall on the right.